A lot of those people you think “want it to fail” are our Veterans. A lot of them are the ones you, yourself, called the enemy because they are Republicans. 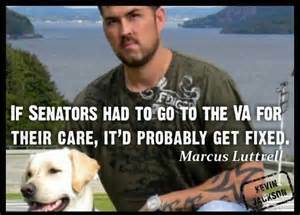 So explain to me why the very people who need and deserve those VA benefits want the whole thing to fail. Did you serve, Mrs. Clinton? How about your “husband?” If you had to depend on the VA, you wouldn’t be saying these things.